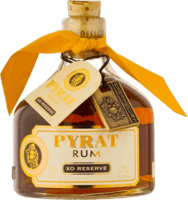 Easy to love This rum is excellent is not too costly and is a well sweet sipping rum, with hit of fruits and wood. Is the best from Cacique distillery Is the best of all Cacique rums product but still not enough. In venezuela is easy to find better rums . Okay Had tasted much more better rums from Venezuela, is not mild enough / too strict and rather sprittig . Not bad, but is not one of my choice Not the rum for me is dry and too complex with a cigar, or to mix will be good, but is not too cheap to be mix. Dry and balance Dry and balance esay to enjoy this rum on the rocks, but is not complex enough to justify sipping. Better for Cuba Libres and mixed drinks. Very rustic A Dominican Republic. Not because is Brugal or from Dominican Republic has to be good. it need a lot of mix or coke before you can have a nice drink.